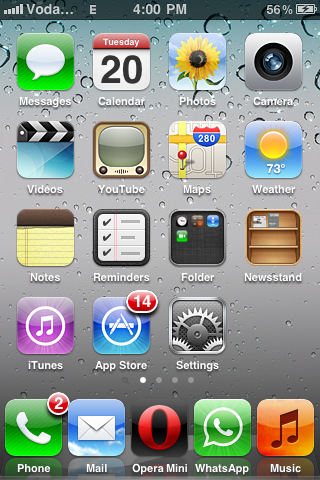 I have an iPhone and it is jailbreaked with whited00r 5.1 custom firmware installed, This custom firmware enables cool iOS 5 features like Multitasking, Folders, Homescreen wallpapers, Battery percentage, MMS, Character counter in messages in older devices. It also includes Transperent dock and new icons from iOS 5, I'll make a tutorial to install whited00r soon, But for now lets continue this post. 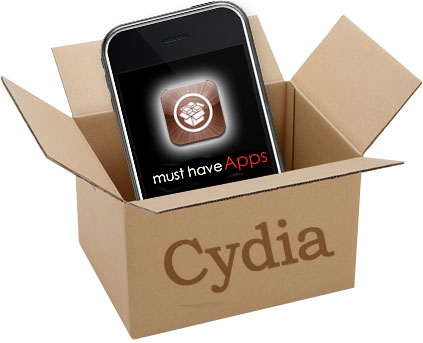 Installing too much tweaks and substrates slow down your phone and Drain battery, So If you have a jailbreaked iPhone and you like installing apps from cydia then beware... Delete unused apps and tweaks. Only keep those which you use. 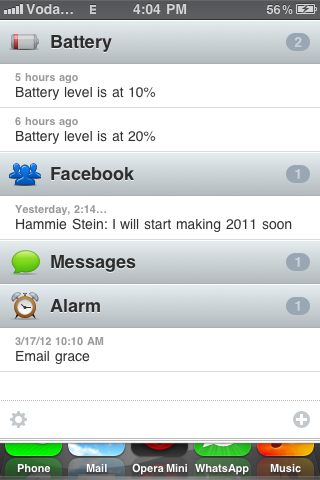 Notified legecy is a iOS 3 version of Notified Pro. 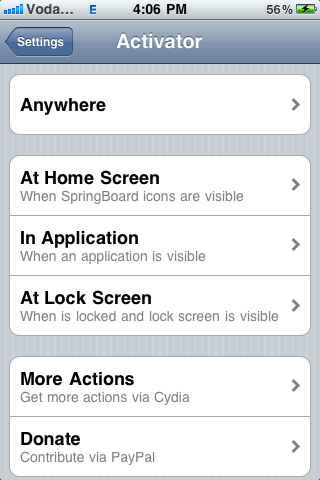 Basically it is a tweak like iOS 5 Notification center when used with Activator. It shows notifications when we swipe down the status bar, Similar to iOS 5 notification center. Its a Good tweak, very useful at least for me. In my opinion this is a must have app on your Old iPhone device unless you have iOS 5. Toggle things like Wifi, 3G, Bluetooth, EDGE, GPS straight by swiping statusbar to Left (action can be changed by using Activator) It shows valuable information like Available RAM, Available Memory etc. You can do much more with this tweak. 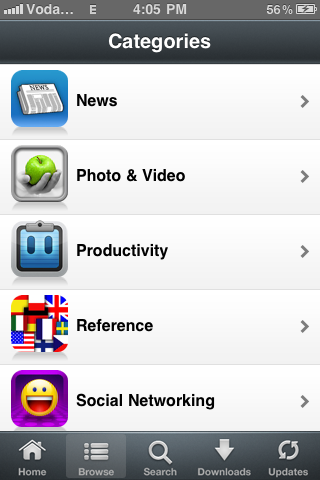 You can also add custom themes to this app (5 themes are included), It also has iOS 5 notification center integration. Actually this is a very useful app and it's been liked by many iphone users. Many people will recommend this tweak, But I say Love it or Leave it, Its good app but i've heard that it drains a lot of battery. But so far it has worked fine for me, So just try it and see how it works for you. 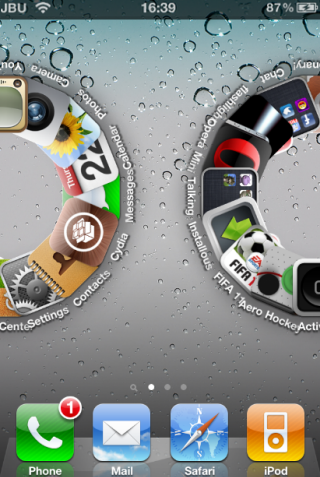 This Tweak changes default slide action of Homescreen to custom actions. Many different actions comes with this tweak. It's a nice tweak if you're bored of default action. I won't say much about this cause i have installed it recently and not used it much, But I can say its really cool and interesting app. This Tweak gets automatically installed when you install Notified legecy or Notified pro, But you can also install it individually via cydia. With this tweak you can set different activation methods to various apps and actions in your iphone. Example: swipe status bar down to activate Notified, Double tap Home button to activate iPod, Double tap on lockscreen clock to open calenders, Do a pinch to zoom action to open contacts etc. You can also do this with your apps like facebook, twitter, games or other actions like switching slient mode and if SBsettings is installed you can also toggle activate/deactivate wifi, bluetooth, airplane mode, location services etc. This is an amazing app and I recommend it to every jailbreaked iphone user. If you Install cracked apps, ipa's on your iphone then this one is perfect. With installous 4 you can download and install ipa files (cracked full version apps) directly on your iPhone, No need of computer or usb cables. In my opinion This is a must have app. Note: The 'oo' in repod00r are actually zeros. This is a simple tweak, It makes the 4 icon iPhone Dock to 5 icon, which means you can now add 5 icons to your dock. This is one of my favorite tweak. 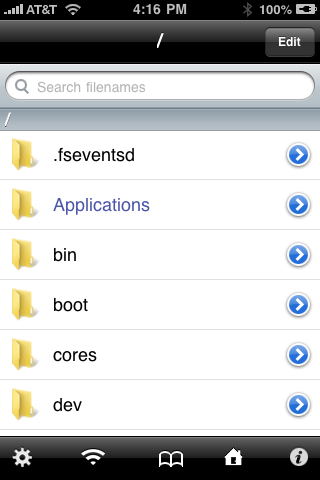 If you usually dare to SSH and go into your iPhone then this app is very useful for you. Now you don't need a Computer or iFunBox software to SSH, This app can help you go into your iphone on the Go, Now you can SSHinto your device within your iPhone. This app has been useless for me since I hardly SSH, but it can be very useful for regular users. 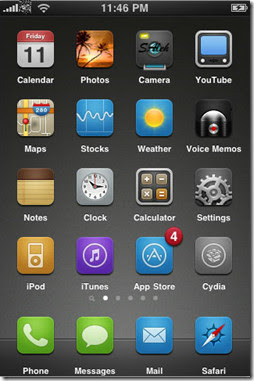 WinterBoard is the most popular theming platform for iPhone. With Winterboard you can apply awesome themes to your iphone with ease. There are lost of themes under modmyi repo. Sometimes Winterboard may make your device laggy and you may experience frequent crashes, otherwise its just awesome. Give it a try. Hope you guys liked my list. Try these apps and don't forget to comment your favorite apps below in the comment section. Please share this article with friends using the widget on left side.